As all the children envision a sky filled with color, and their kite dancing creatively above the rest. Grandpa, unlike David’s classmates, has an unique adventure in mind. His plan is to gather each part of the kite from a diverse, and uniquely talented group of his friends. From the start I wanted to establish that the young grandson had a deep respect for his grandfather’s knowledge and wisdom. My hope is to open children’s eyes to the wealth of wisdom the elders in their lives have to share, and enjoy sharing. David was always aware of his grandfather’s many gifts, and their relationship was built on years of loving exchanges. But, as the story unfolds he loses faith in his choice. Where does the journey take them? What gems does grandpa and his friends share? What happens the day of the contest? Let’s get our children excited about learning about different cultures & traditions. Let us read to them a loving story ~ Kite Tale. 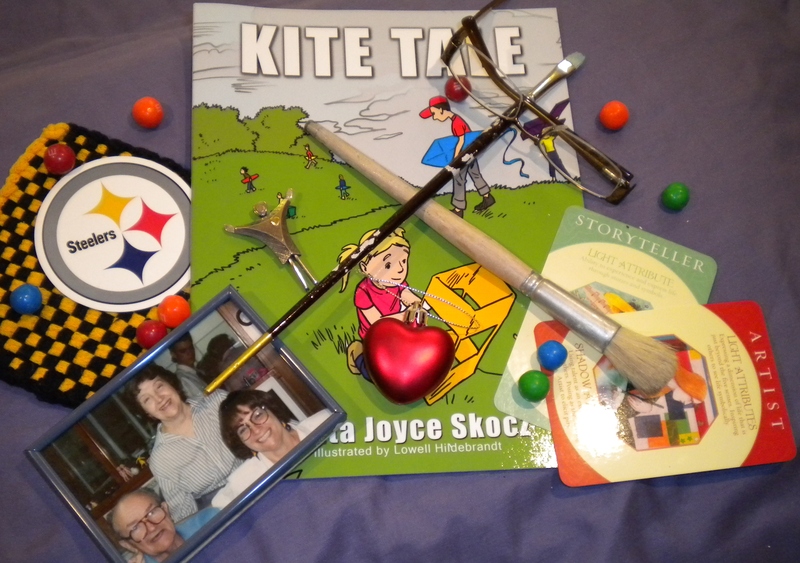 This entry was posted in Uncategorized and tagged anita skocz, diversity, friendship, kite tale, values. Bookmark the permalink.